I saw on Twitter that it's National Flip Flops Day! So I decided to celebrate. 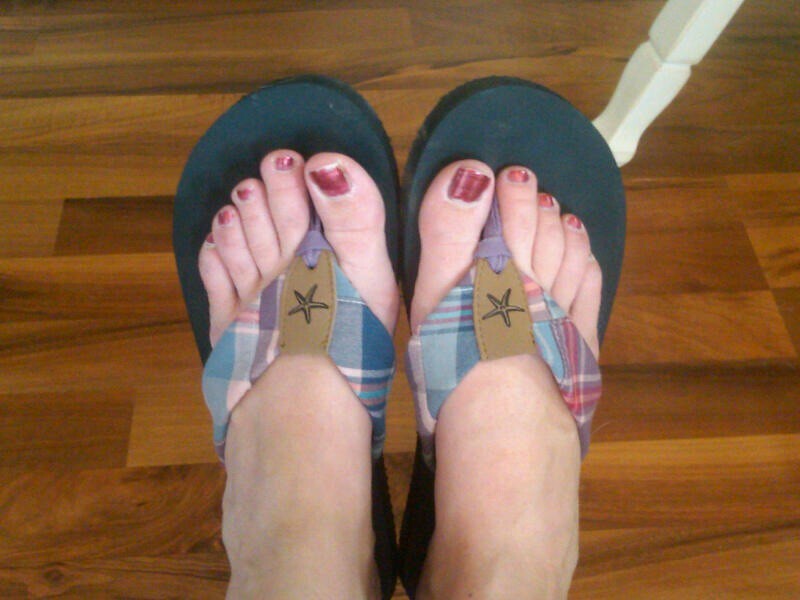 I got these cute flip flops at the J. Crew outlet last week. Excuse the poor pedicure...I'm due for one, along with a haircut...maybe someday. And I fell in love with these but they are more than I should spend (and on sale in Europe), right? That starfish pair is SO cute! Love them both..but LOVE the starfish pair. I have so many flip flops now, I had to buy a new shoe rack to hang up and put them in! I'm bad about buying the shoes, then finding the outfit to match! I miss my toe ring! Love the flip-flops!